Grab your Denver Broncos NFL ball today and make those pins fall by your hand! Not only does this ball feature your favorite NFL team but it can also be used on any lane condition! 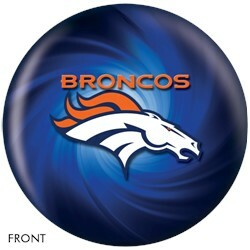 Great looking ball. I get lots of comments (especially from the Raider fans. Ha ha.). It actually has some grip to it. I was surprised. can i have the ball shipped to me to be drilled? Hello KC! Yes, you can. You can just select "No Drilling" and the ball will come to you undrilled. Does the ball have the weight labeled on it? Hi Sancho. The ball will not have the weight listed on the actual ball itself. 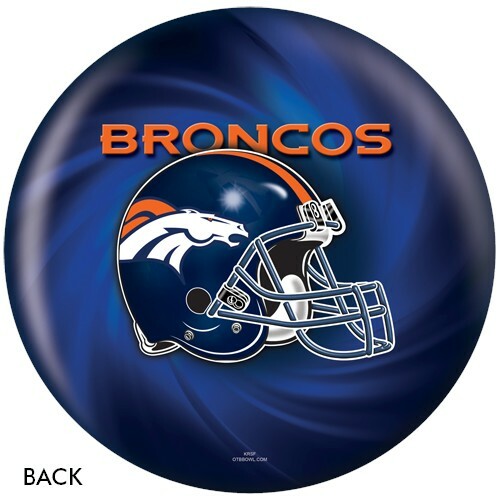 Due to the time it takes to produce the KR Strikeforce Denver Broncos NFL Ball ball it will ship in immediately. We cannot ship this ball outside the United States.